Friday April 5 was new music day for local fan favorite band Xeros as they give rebirth to a classic. The Springfield, Mo.-based Xeros are venturing on their latest endeavor with the release of their official video for their new track, a cover of the 1989 Ramones hit “Pet Sematary,” While some might steer away from covering a song made famous by such an iconic and influential band, frontman Jaymes Peralta and the guys of Xeros with producer Kevin Gates of Reach Audio felt up for the challenge. Although not as “punk” as the Ramones are known and loved for, “Pet Sematary” was a great choice for Xeros as they seem to harness the genuine sound and feel of the song. They do a great job paying homage to the Ramones with their version. Xeros easily adds their own flair and flavor to the classic track, making it their own. Peralta’s clean vocals with Xeros’ upbeat feel make it an even catchier tune and hook while giving the track new life. Xeros joined forces with director Lindan Caldwell of Caldwell Media and shot a video for the track in the small town of Willard, Mo. Xeros bring visual art to their version of “Pet Sematary” with a video that starts off with the Fred Gwyynne’s quote from the Pet Semetary film, “The soil of a man’s heart is stonier, Louis. A man grows what he can, and he tends it.” An obvious reference to the Stephen King classic of the same name, the video’s action then starts as an eerie figure drags a pickaxe through the woods. The video then flashes to the band performing in front of a simple but strong red highlighted background. Switching back and forth, the video follows four masked adolescents on a journey to bury their “pet” in the wooded cemetery. The original Ramones hit was written for the1989 film “Pet Semetary,” based on the novel by Stephen King and appeared on the film’s soundtrack and the album “Brain Drain.” While Xeros’ version does not appear on the soundtrack for the upcoming remake, it very well should and does the movie and band proud. 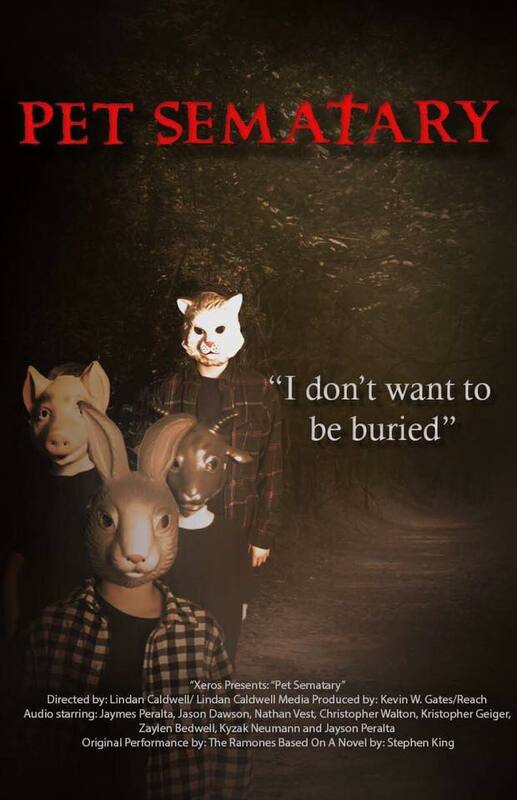 “Pet Semetary” was released nationwide Friday April 4 and is available today, April 5, on all streaming platforms it is sure to be a hit with all who download and share the track. For more, follow Xeros on Facebook here. Listen to “Pet Sematary on iTunes by clicking here. Steam it below via Spotify.